Happy Holiday Friday! Now that December is here, I'm full of the Christmas spirit. Welcome to another edition of Friday Features, where we showcase some of our faves from our weekly link ups! 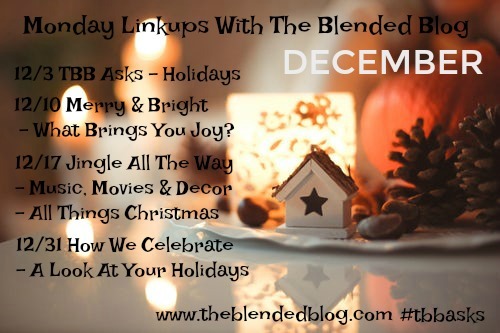 Be sure to join us below and link up your favorite post from the week. 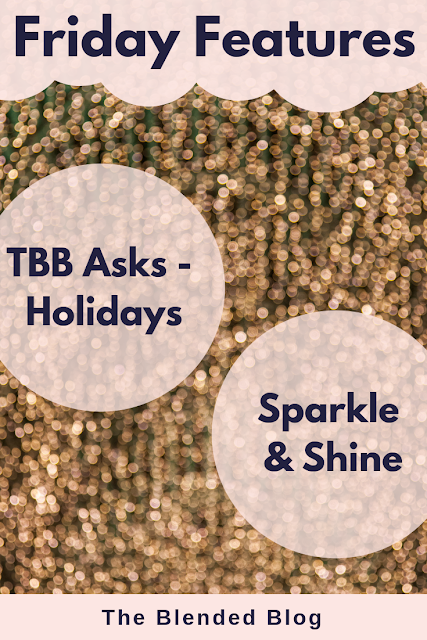 What did we learn from TBB Asks - Holidays? 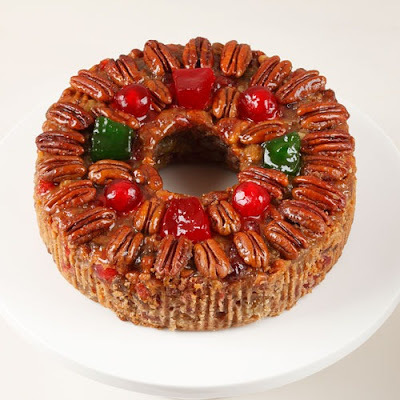 That NOBODY likes fruitcake! Why does anybody even make the stuff? Lea from Cici's Corner wrote about icebox fruitcake and swears it's good. We'll take her word for it! It also seems that we're split 50/50 between Christmas Glam and Ugly Sweaters. Loved Jenn at Twin Living's reindeer sweater! Wednesday featured all the sparkle and shine and we loved it all! Did you know that Jill from Doused In Pink is back blogging? 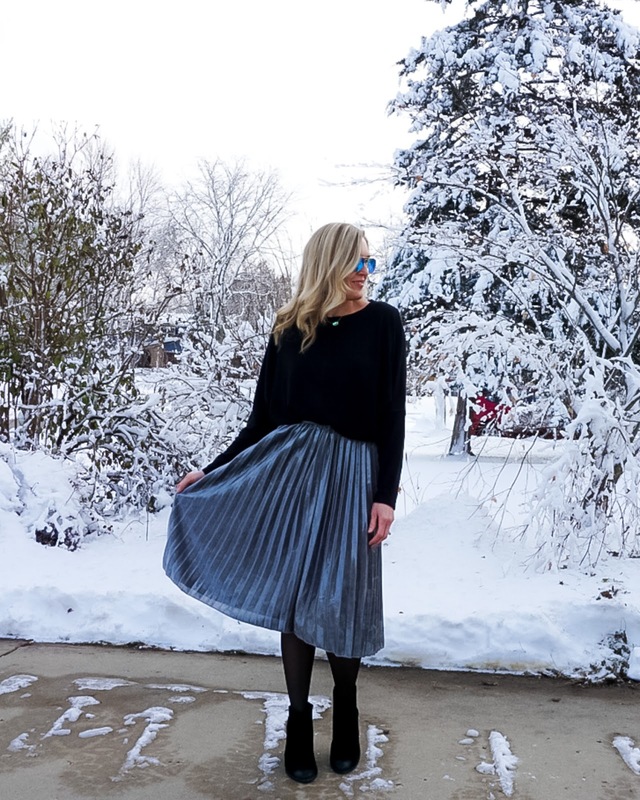 And she shared the prettiest metallic pleated skirt with us. 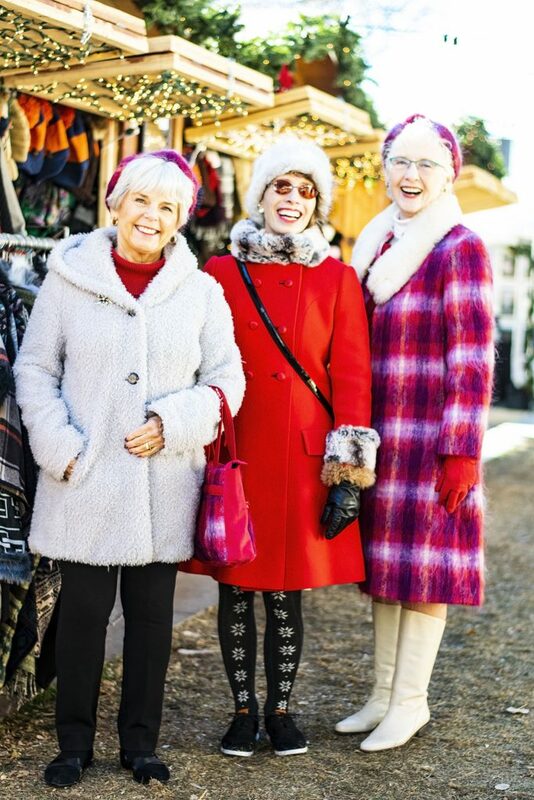 Another favorite - the holiday coats shared by Jodie and her moms at Jodie's Touch Of Style. I want them all, especially the pink plaid made by Charlotte herself! Thank you to everyone who linked up with us this week. Be sure to come back on Monday for Merry & Bright - What Brings You Joy!